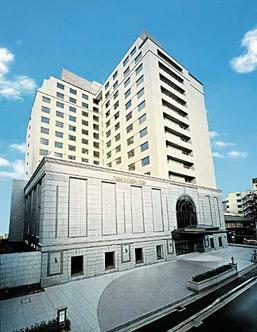 Hotel Nikko Princess Kyoto is located in the center of the business district of Kyoto the former Imperial Capital. There are easy accesses to the business center, subway and train stations, and buses for Sightseeing and shopping arcades. When you enter our hotel, you transcend into a friendly and Elegant atmosphere, with a spacious marble stairway. The guest rooms are spacious and chic, decorated with an European interior, including a large and Luxurious bathroom with separate bathtub and shower facilities. Our hotel services include four restaurants, a bar and tea lounge. On the first floor, we have Amber Court which serves French style cuisine. On the second floor, there is the Japanese Restaurant and teppan grill Sagano which features a tiny indoor Japanese garden. The Chinese restaurant Hisuien translated jade garden, serves the finest Chinese dishes. In the main Bar Darley you can relax in a British style atmosphere while enjoying a drink and Listening to live music. Our tea Lounge which overlooks the white marble stairs into the Lobby is cozy And comfortable, anyone can come in, relax and enjoy a cup of tea or cool drink alone, with friends or Love ones. Hotel Nikko Princess Kyoto welcomes guests with heartfelt hospitality, as it is our sincere wish for all Guests to enjoy their stay in Kyoto.